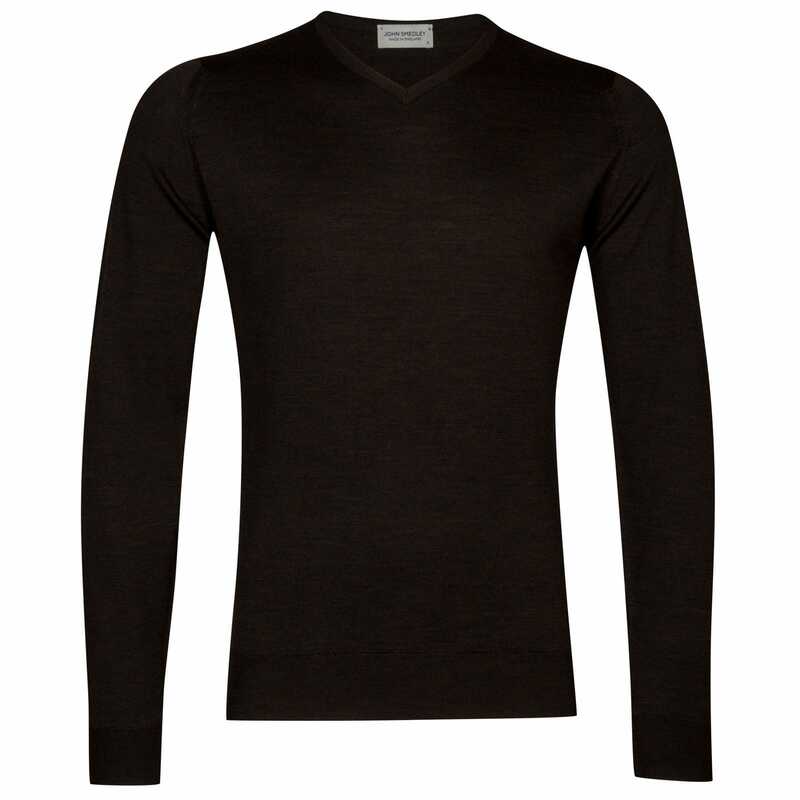 We have found the following products matching your search for John Smedley shipton Merino Wool Pullover in Chestnut XL. Shipton is a sublime 100% Extra Fine Merino Wool pullover. This classic design features a higher v-neck than Blenheim, making it more appropriate to be worn independently. Available in a stunning array of shades; this garment is a piece of everyday luxury. 30 Gauge Extra Fine Merino Wool Pullover High V-Neck Standard Fit SIZE & FIT - Menswear Model Wears Size Medium: Height: 6'1" Chest 39" Waist 31"